Stories about the legendary Sackville teacher Helen Beale entertained members of the Tantramar Heritage Trust on Wednesday at the historic Anderson Octagonal House on Queens Road. 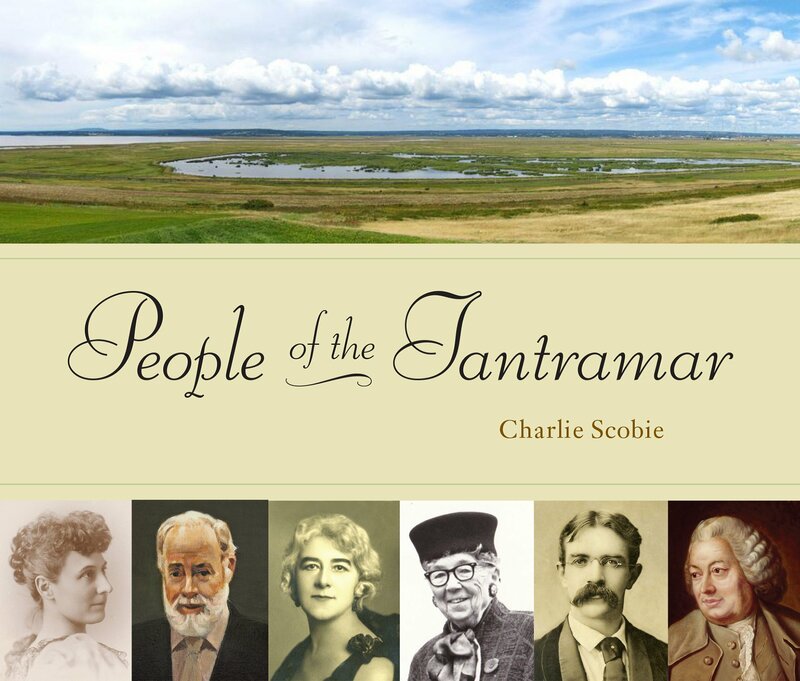 Helen Beale, the much-loved teacher who imparted English grammar to generations of schoolchildren, is included in the forthcoming book People of the Tantramar by local historian Charlie Scobie. Scobie said Helen, known locally as Granny Beale, began teaching in Sackville in 1920 under her maiden name Craise. He explained that at the time, female teachers were required to resign when they married. Audience member Bill Snowdon remembered that Helen Beale did return temporarily to teaching in 1930 when the kids at the school in Wood Point were so unruly that the teacher quit in mid-year. Scobie said that the beloved CBC broadcaster John Fisher (Mr. Canada), who is also in the book, once said that he owed Helen Beale a great deal for teaching him correct English when he was one of her students in the 1920s. 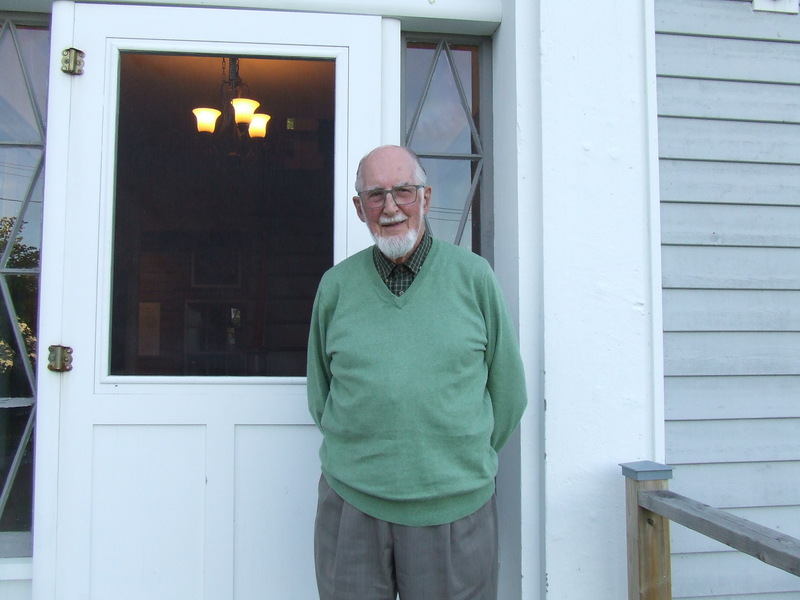 Scobie said his book, which is due to be released in September, tells the stories of 47 “amazing people” who lived and worked in the Tantramar area from the 17th century onward. He explained that each entry will have a picture of the notable person with no more than 850 words of text as well as a photo of something in the community that is linked to that person. Scobie said the only two federally designated Persons of National Historic Significance from the area are in the book, but stumped many members of the audience when he asked who they were. Someone guessed George Stanley, designer of the Canadian flag and someone else called out the name of poet Charles G.D. Roberts, but Scobie said that although both are included in his book, they have not been designated as historic persons. It emerged gradually that the two were Mary Electa Adams, the first principal of the Mount Allison Ladies College who set high standards for the education of women and Grace Annie Lockhart, the first woman in the British Empire to earn a university degree. 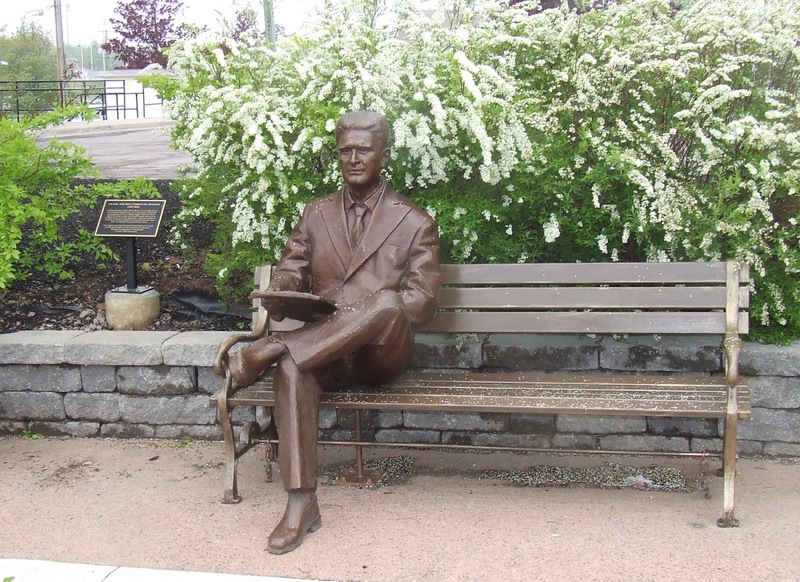 Scobie said he has been urging Mount Allison University for years to put up a plaque honouring Adams outside the entrance to the campus chapel opposite the one for Lockhart, but so far, to no avail. “Mary Electa Adams paved the way for Grace Annie Lockhart and there’s a close historical connection, which you will find when you read the book,” he said as the audience laughed. Scobie said it will cost $10,000 to publish the book. He has raised several thousand dollars so far, but will need up to $6,000 more by mid-July when the book will be printed. He appealed to members of the public to purchase advance copies for $22.50, a discount from the regular price of $25.00 if the book is ordered before July 31. To view the online order form, click here. The book, published by the Tantramar Heritage Trust, will be officially launched on September 21 at the Sackville Town Hall. To see a complete list of the people included in the book, click here. This entry was posted in Mount Allison University, Town of Sackville and tagged Charles G.D. Roberts, Charlie Scobie, Christian Toth, George Stanley, Grace Annie Lockhart, Helen Beale, John Fisher (Mr. Canada), Mary Electa Adams. Bookmark the permalink. How interesting. Thank you for this book. I see from the provided article that Mrs. Beale has been characterized as “fearsomely strict”. Sometimes things might get said, and then repeated, and then they become as if they are so, whether or not they might be. When in the classroom, Mrs. Beale was in her place of work. She treated all alike and with respect. She encouraged reciprocity. She carried out her work with enthusiasm, encouragement and commitment. Tools of control such as fear, intimidation and the like were not a part of her repertoire. Above the blackboard behind her desk was a framed sign, large enough to be seen but not so large as to impose. The sign simply said “Think”. Maybe the sign more correctly reflects Mrs. Beale. Note from Bruce Wark: Those words “fearsomely strict” were mine and maybe I applied them too freely violating one of the first rules of journalism: Write only what you have verified. Thanks for pointing this out. I’ll change my story in light of your new information. Thanks again. Dear Terry, I am happy to read your comment. Thank you for sharing this story. Thanks to Mr. Bruce Wark for his inspiring professionalism as a journalist (response to your comment). I have to admit that if I want to purchase this book, it is to a great extent due to Ms. Beale. I cannot explain it but I somehow felt tenderness for her. To a great extent, this is due to her description by the author and the Warktimes (and you now, Terry Taylor). I feel like getting to know her whilst learning about this part of Sackville’s history. I have to also admit that, for some reason, she made me think of a certain ‘Madame Minerva Maalouf’, one of my Beirut school teachers of Arabic (not English :)). Like her, Madame Maalouf was thorough and fair. She educated several generations of students, making us all enjoy learning this beautiful yet tough language. To come back to Ms. Beale, I look forward to discovering her character. God knows how much we all need her simple yet wise advice (in the framed sign), both older and younger generations: *THINK*. For me, I read this sign nowadays as follows: Let’s use our brains to think before speaking/writing, acting, assessing, or simply repeating given ideas or…ideologies. In other terms, let’s be/remain critical learners to embrace free thinking, welcoming diversity of thought (of others and our own).